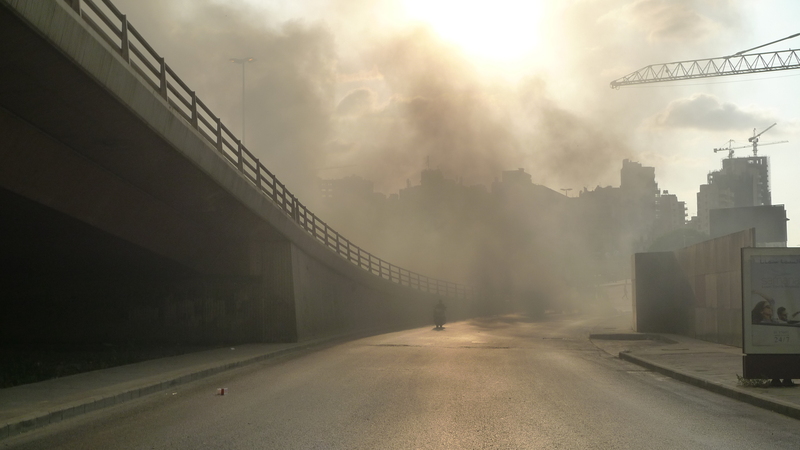 “Beirut is Burning”: Lebanon – What If It Fell? Beirut is burning; it is hurt, angry and uncertain about its own future. Ambulances are howling. Hundreds are injured. Rubber bullets are flying and so is live ammunition. Who are those men, stripped from their waist up, muscular, throwing stones at the security forces in the center of Beirut? Are they genuine revolutionaries? 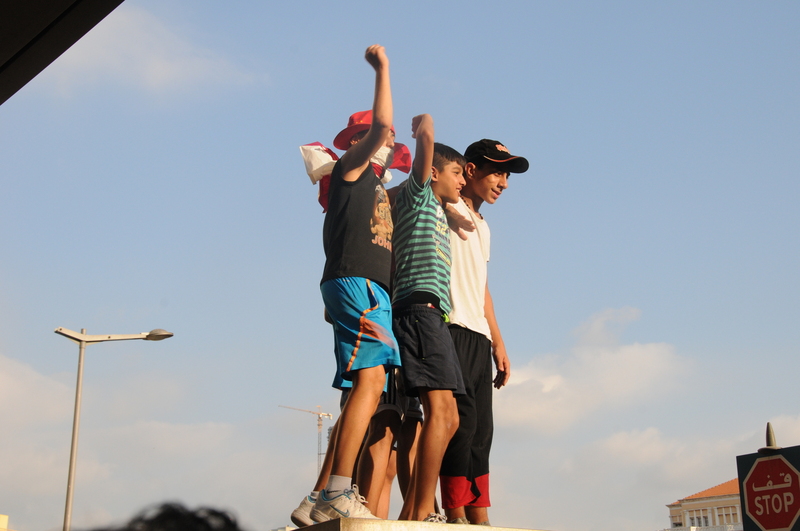 Are they there in order to reclaim so badly discredited “Arab Spring”? Or did they come here in a show of force, because the West is paying them? If the Lebanese state collapses, ISIL could move in, and occupy at least a substantial part of Lebanon. That would suit the West’s interests, and those of Turkey, as well as the Gulf States. Or Israel could take advantage of the vacuum, and invade Lebanon, once again. Or both ISIL and Israel. Two weeks ago, a friend of mine said jokingly: “I met a kid in Beirut. He told me that he is going to get a job at some European NGO. His duty would be to help to destabilize Lebanon”. She named the country funding the NGO, but I’d rather not mention it here, in order not to add more oil to fire. We had a good laugh then, but it does not appear too funny, anymore. He was there. He was not bragging. It was not a joke. Nothing appears to be a joke in Lebanon, anymore! Or could there be two “types” of protesters at the same place and at the same time? 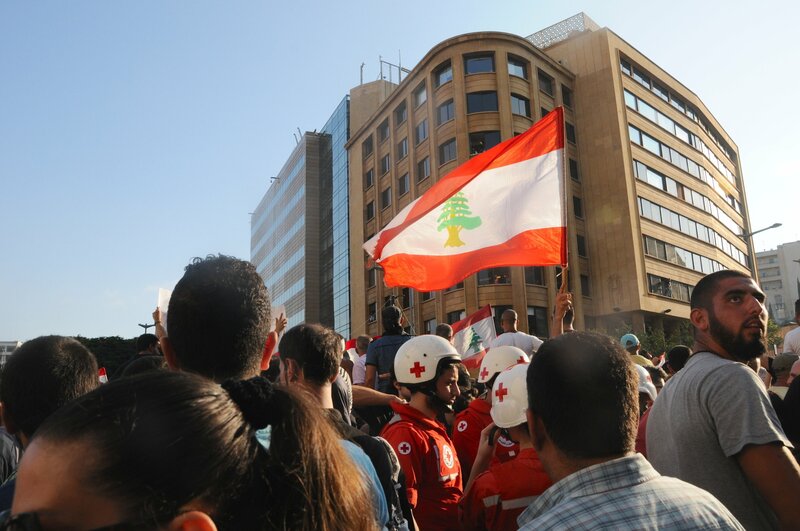 Those who are fighting for a better Lebanon, and those who are paid to fight for sectarianism and for the foreign interests (which in this country is almost the same thing)? Just one day before the street battles erupted, I drove from Beirut, crossing the mountains and then progressing north, through Bekaa Valley. What a sight! What madness! Behind Mayada’s back, sits the enormous structure of the Temple of Bacchus, above her, helicopter drones. Tanks and hundreds of soldiers were stationed all over Baalbek, protecting the site and the venue. Just a few kilometers away, Hezbollah is engaged in its epic battle with ISIL. But thousands of people arrived, in striking defiance, refusing to succumb to fear. They drove here from Beirut and other cities of a battered, now almost dysfunctional Lebanon. They came to celebrate life and the Arabic culture; they came to listen to their beloved songs and to pay tribute to this celebrated Syrian diva. Some, clearly, came to pay tribute to Syria itself – to Syria and to life. 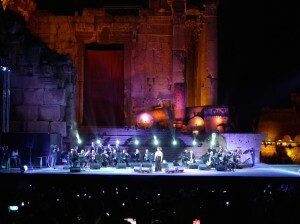 As Mayada El-Hennawy began singing, people roared. 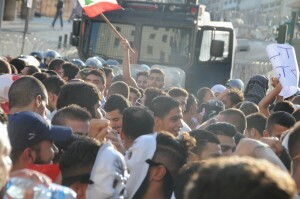 24 hours after the concert, a crowd clashed with the Lebanese security forces in the center of Beirut, near the government palace. Dozens were injured and on 24 August, it was reported that one person died in the hospital. The “You stink” movement first organized the protests. 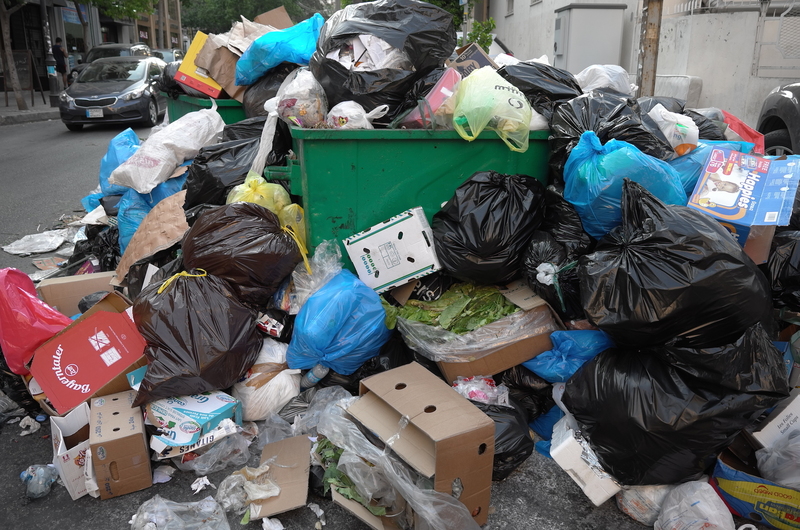 Thousands of people hit the streets in response to an ongoing garbage crisis, which, according to many, has made the already difficult life in Beirut almost unbearable. “You Stink”! For 18 years, the government was unable (or unwilling) to build a permanent garbage-recycling site. For 18 years, poor villagers near the “provisory” garbage dumping grounds were suffering, getting poisoned, dying from unusually high level of cancer and from respiratory diseases. Then, finally, they said “Halas! Enough.” They blocked the site. And after they did, the garbage began accumulating on the streets of Beirut. Instead of finding a permanent solution, the government dispersed white toxic rat poison over the piles of rotting trash. People in the capital began getting sick. But it is not only the garbage that is making life in the capital, and in fact all over the country, almost intolerable. One thing has to be understood: Lebanon is not Iraq, Libya or Syria. All these countries had strong leadership, and they had robust socialist and social programs (despised by the West): from the medical care to education, public housing and pensions. In total contrast, Lebanon’s government is dysfunctional, corrupt and divided. The country has been surviving over a year without a President, despite the Cabinet meeting more than 20 times in an attempt to elect one. Garbage was just a tip of the iceberg. The infrastructure of Lebanon is collapsing: there are water shortages and constant electricity blackouts. There is hardly any public transportation to speak of, almost no green public areas. There are land grabs all over the country. Health and education are at disastrous levels. It is an extremely brutal place for many. Lebanon is perhaps one of the most capitalist countries on earth. There is almost nothing public, nothing socialist left here, anymore. And the savage capitalism (always prescribed by the Western “partners” for its client states) in Lebanon, as everywhere in the world, simply does not work. The country hardly produces anything. There are more Lebanese people living abroad than in Lebanon itself, and it is remittances that are keeping the state somehow afloat. There is also substantial income pouring in from the shady businesses in West Africa, in Iraq, but also income from the banking industry (mainly servicing the Middle East and the Gulf States) and from the narcotics grown in Bekaa Valley. There is plenty of cash in individual’s pockets and in their bank accounts, but almost no money for basic public services. Lamborghinis and Ferraris are racing at night along Cornish, and the Zaitunay Bay Marina puts its counterpart in Abu Dhabi to shame. But most of the city is polluted, crumbling, and desperate. In between those contrasting facades, desperate Syrian refugees are begging. Nothing seems to be enough. Money comes in, and mysterious, big chunks of it simply evaporate. Now the country is totally broke. Government sources claim that the Lebanon’s public debt currently stands at about 143 percent of gross domestic product. Lebanon is divided along sectarian lines: 18 religious groups. The main ones are Christians, Sunni Muslims, Shia Muslims, and a small Druze minority. Because of sectarianism, there is hardly any national unity, or a “national project”. Several protesters I spoke to claim that they are fed up with sectarianism and divisions. 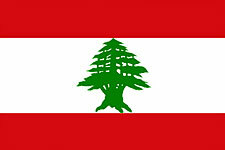 They want one, strong, united Lebanon. Or that’s what they say. But there seems to be no ideology truly uniting these protesters. There are only grievances that they have in common. Demands appear to be legitimate. But in Lebanon, one cannot be certain of what lies below the surface. There are rumors that each religious group is now sending its fighters to the barricades. For years and decades, competing political interests are pulling this tiny country in different directions. Who is who and who is with whom, is often extremely difficult to define. Allegiances of the Christians are mostly with the West. Sunni Muslims are closely allied with the Gulf States, and indirectly, with the West. Shia Muslims, including Hezbollah, are leaning towards Iran. Almost everyone here agrees that Hezbollah is the only sound social force in the country. It is also aiming at uniting Lebanon, by reaching out to non-Shia groups. Presently, Hezbollah is locked in an epic fight against the ISIL, a brutal terrorist army that was originally supported and trained by the West, Turkey, generally by NATO. Hezbollah is opposed to terrible acts of destruction that are being spread by the West and by Israel all over the region. For that reason Hezbollah’s name is firmly engraved in the selective US terrorist list. Lebanon is squeezed from all sides. Civil war in Syria fueled by the West has already forced at least 2 million Syrian people to cross the border and to seek asylum in this tiny country. The ISIL is continuously trying to grab the territory in the Northern part of Lebanon. While Hezbollah is doing most of the fighting against ISIL, the Lebanese army and security forces are trained in the West. Saudi Arabia recently paid for the French supply of arms to Lebanon. Israel is constantly threatening to invade. To add to the list of distresses, there has been renewed fighting in the Palestinian refugee camps in the South of Lebanon, with several dead and many injured. But can this group really win against a tremendous capitalist and religious inertia? But the number of angry and determined people is constantly growing. “We’ve had enough. Enough!” Shouts a man who is carrying a plastic bag filled with garbage as a symbol. All the demonstrators that I talk to are fed up, but very few of them can see a way out of the crisis. In Lebanon, there is no ideology, and no serious talk about socialism. Latin America has not been mentioned even once. The original group of the protesters is horrified. Many of them went to protest with their little children on their backs and with their grandparents in tow. They thought they are going to engage in discussion with the government. Instead they were welcomed by water cannons, rubber bullets and teargas. Clashes, and terrible injuries followed. Then a wall was erected, outside the Grand Serail, just to be dismantled next day. 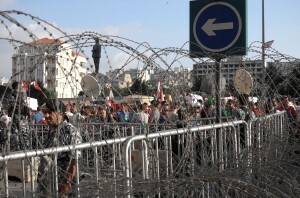 Barbed wire is still all over the center of the city. The pavement is dotted with rocks, shop windows broken, cars burned. Tires are scorching, blocking main arteries of the city. Security forces are omnipresent, on foot, on board their Humvees and on top of the tanks. And so are the medics and paramedics, ready for further escalations. “Is this a continuation of the Arab Spring?” I asked. Who is behind this uprising? Everyone at the protest site claims that the rebellion is absolutely spontaneous, that there is no foreign influence. “Revolution!” protesters are shouting, repeatedly. There is no doubt that many protesters who are now fighting in the center of the capital are “genuine” and outraged citizens. But others are clearly not. The situation used to be the same in almost all other “Arab Spring countries”: initial desire for reforms and for social policies. Then the infiltration from several political (mainly pro-Western and pro-Saudi) groups followed soon. Time after time, genuine agendas were kidnapped. Are all rebellions in the Arab world doomed from the start? Are they all going to end in the US and EU orchestrated coups, in bloody massacres and finally, in horrific collapses of the nations? Is the Libyan scenario really inevitable? Then one of the “international experts” based in the region, reminds me: “I am sure you already know that the workshops that were held for activists to ‘spark’ The Arab Spring were held in Lebanon”. I know. And it says a lot. For many years and decades, Beirut was attracting those who wanted to taste “Western the world” without leaving the Middle East. This is where the indoctrination was disseminated, and where so many shady deals between the West and the local rulers and movers were sealed. 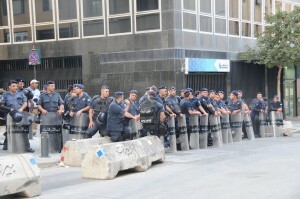 Few thousands of protesters in the center of Beirut are closely watched. It goes without saying that each and every move they make is being analyzed, and that the West is going to try to turn the events to its advantage. This does not mean that one should not try to improve the world, or to fight for a much better country. But it means that those few authentic protesters will be always outnumbered, and they will always have to face the leaders of the savage Lebanese capitalist establishment, backed by the West, and the Gulf States. They will also have to face those other “protesters” who already managed to infiltrate this small rebellion, and who are handled by the various political interests, local and foreign. If what is happening has origins abroad, then why is there suddenly such a rush to bring Lebanon down? Is it because increasingly successful Russian diplomatic initiatives to stop all conflicts in the Middle East? Or is there a plan to almost fully encircle Syria? Could Hezbollah be now on the hit list of the West? Rumors are plentiful, while information scarce. One thing is certain: if Lebanon collapses, the entire region will once again become a colony.